Tried the Schizo today. I have liked every Asylum cigar prior to this one. Too soft to use a bullet punch. The flavor was slightly bland and not complex. A shame because the Orge and Eighty are top notch. Don't let my title fool you into thinking these aren't any good. These are great, fun smokes. Just not a lot of complexity to them. Great for when you're working on other things like yard work or conversation, as you don't have to give them much thought. Great value for a vibrant smoke. nice draw and full flavor. The best of the machine made. Every stick smokes perfectly. 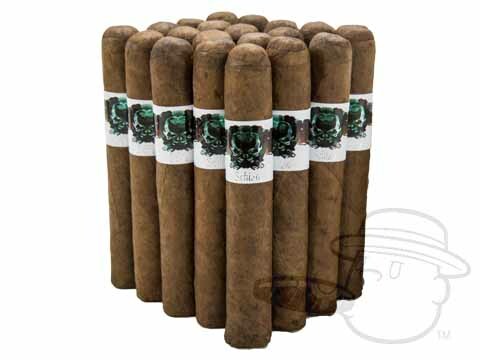 Good value for the everyday large ring smoker. These are well constructed, burn evenly,and are very pleasant to the taste and eye. I would definitely buy these again in the near future. I enjoyed this cigar very much in fact I still have a few in my humidor and believe me when I smoke those I'll definitely be ordering more. I have a 5000 stick humi that I age my sticks in, inside that I have my everyday 100 count stick humi that I will take out to the patio, I keep it full of Shizos. I have 3 bundles aging in the big humi at all times. Asylum Schizo 50x5 is rated 4.1 out of 5 based on 19 customer ratings.